Thank you to Jake 'n Beth for providing me with product, free of charge, in exchange for my honest review. All thoughts and opinions expressed are my own. It's been over five years since I had a tiny baby to dress and care for. Part of me feels a little nervous about the impending arrival of Baby S, and I am left wondering if I will remember how to do everything. Caring for your baby is a natural thing, and I'm sure it will all come flooding back to me once she is in my arms. As we make our preparations, I can't help but be excited by the things we'll take with us to the hospital, and then use in her first weeks and months of life with us. 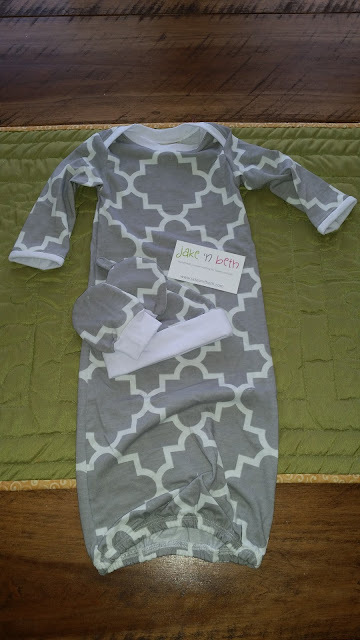 Having newborn layette sets ready to go was one of the things at the top of my list, but not just any old generic gown will do for my sweet girl. I was excited to connect with Jodie, owner of Jake 'n Beth, who offered to send me a gorgeous baby gown, hats and mitts set. Jake 'n Beth specializes in unique handmade clothing and accessories for babies. Each piece is unique, and handmade by Jodie. When I first saw Jodie's designs, I fell in love. From the photos, all of her creations looked so very sweet and I could imagine my own sweet little girl resting gently in them. My goodies from Jake 'n Beth arrived within just a few days of my initial communication with Jodie. Jodie was so wonderful to work with. I could tell, just via conversation through e-mail, that she truly cares about her customers, and aims to offer excellent customer service. She is someone who takes pride in her business, and it really shows. 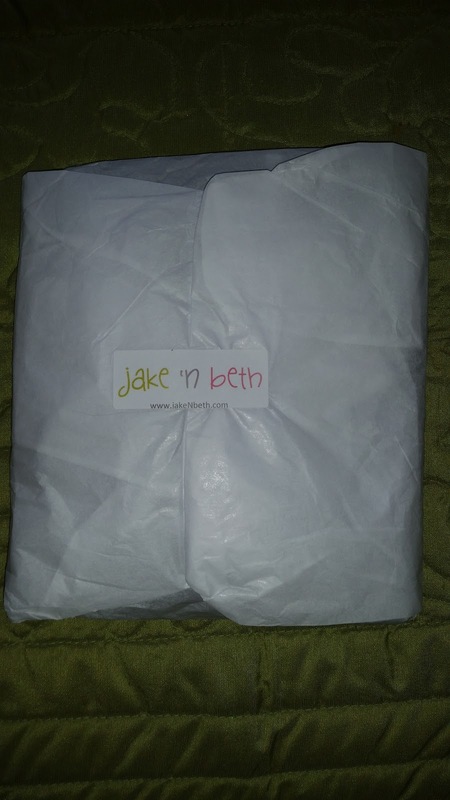 The set that Jodie sent to me came wrapped in tissue paper, and was sealed with a Jake 'n Beth sticker. This adorable set is just lovely, and is perfect for gift-giving, a going home outfit, etc. 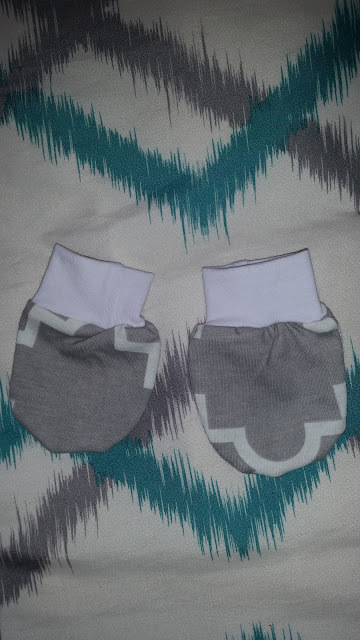 I had decided long before we found out that we were having a girl, that I wanted to use gray as a base color for the baby's belongings. I would embellish with light pink or turquoise blue, depending on the gender. 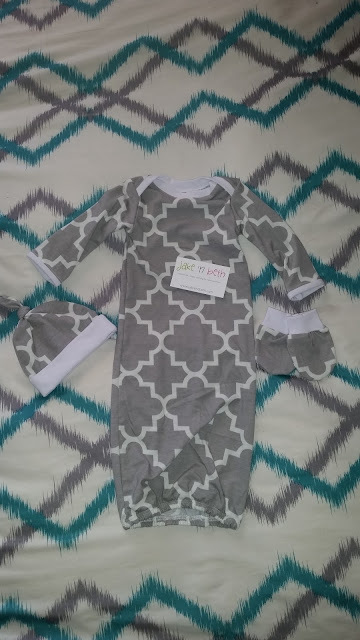 When I saw this set available in gray, I thought it was the perfect set for baby. I love that gray is neutral for a boy or girl. 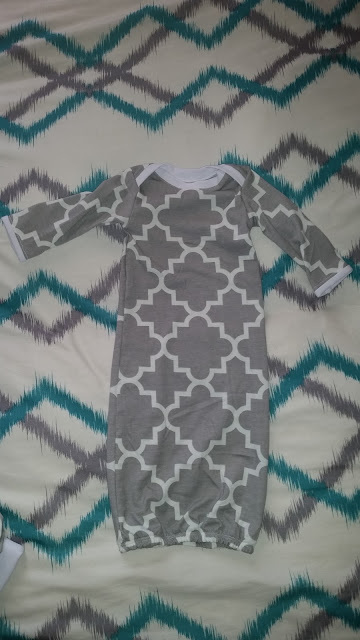 This cotton gown is wonderful for newborns. The cotton baby gown is very soft, and the print on the fabric is incredibly chic. 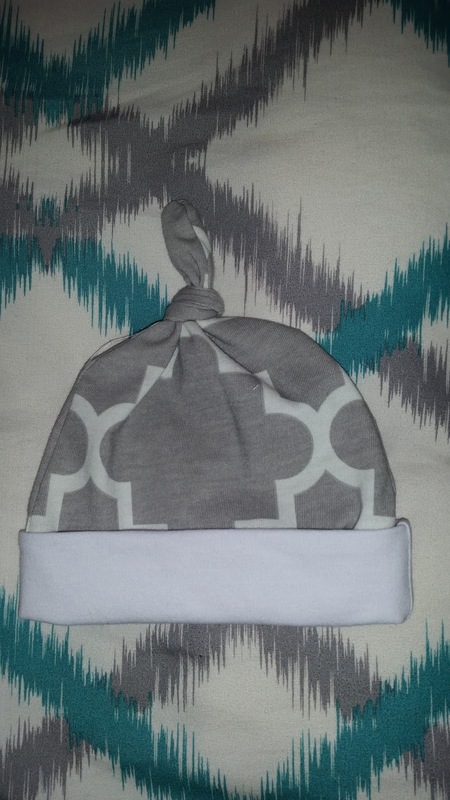 I'm a big fan of quatrefoil, so this was right up my alley- again, appropriate for a boy or girl. The open bottom portion of the gown keeps baby covered and comfortable, and gives mom and dad easy access for diaper changes- a win-win! Mitts were also included in this cute set. I didn't really use mitts with B when he was a baby. He wasn't a scratcher. so it didn't really matter a whole bunch. My little niece, however- a scratcher! You never know, so it's a good idea to have the mitts on hand to prevent baby from scratching him or herself, or from scratching you! Also included- a knotted hat! in it! Jodie's hats can be made to match the gowns, and are available with one or two knots- your choice. All items are made in a smoke free, pet free, fragrance free studio. All seams are professional finished. All fabric is preshrunk. This 3 pc set is just $24.00. All of the outfits and accessories available from Jake 'n Beth are simply adorable! 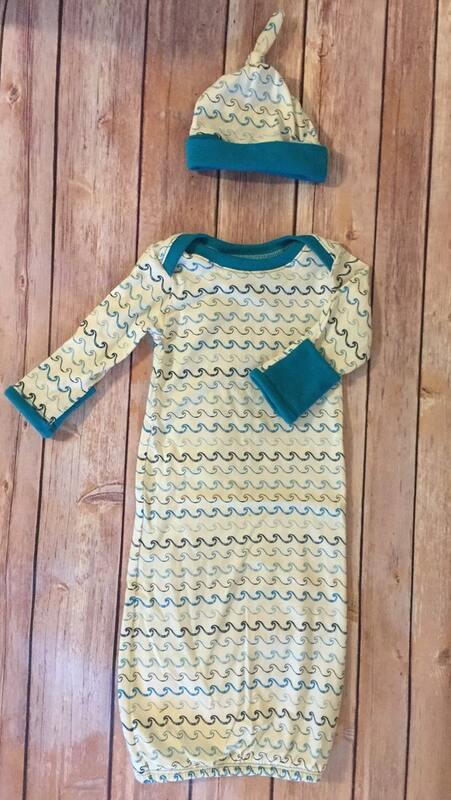 These beautiful apparel pieces and sets would make wonderful gifts for new little ones, baby showers, birthdays, etc. I know that I am definitely looking forward to putting away little girls clothing in S' dresser, before her arrival! Jodie's designs are just delightful, and would make any mommy or little girl smile! 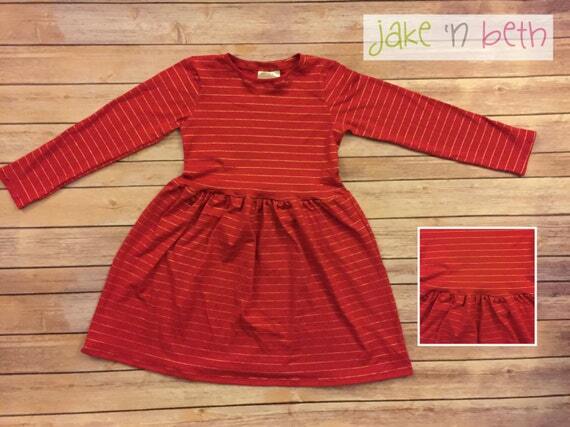 Head on over to Jake 'n Beth to browse Jodie's lovely handmade clothing for babies and kids. You can also save 15% off any order, using the code MOMMYS15. Be sure to connect with Jake 'n Beth on Instagram. Special thanks to Jodie at Jake 'n Beth for allowing me to share about her beautiful designs!